Abe Downs is the owner of Great Northern Fly Fishing and an Orvis endorsed fly fishing guide on the Upper Wisconsin River fishing for smallmouth bass and musky. Abe started fly fishing for trout as most fly fishermen do but quickly realized trout are not the only game in town. Turning his attention to warm water species, Abe soon found himself fishing for bass and musky. Since rivers and fish are always changing, Abe believes fishermen need to change too so he likes to experiment with new fly fishing techniques. Abe also has a passion for travel and finding new places in the world to catch fish with a fly rod. Do you want to become famously known as the next Santiago as in Ernest Hemingway’s novel “The Old Man and the Sea”? If you recall, Santiago is an aged Cuban fisherman who, after 84 days without success on the water, heads out to sea to break his run of bad luck. On the 85th day Santiago hooks a giant and resolute marlin; what follows is a great struggle between man, sea creature, and the elements. You can gain some extremely valuable knowledge to help become the next Santiago by attending Abe’s (a.k.a. The Newest Santiago of Costa Rica) presentation on “Fly Fishing Costa Rica for Marlin”. In September 2018 Abe flew to San Jose, Costa Rica and then traveled on to Quepos on the Pacific Ocean side of Costa Rica. Quepos has a population of about 22,000 people and is the gateway to Manuel Antonio National Park. The city is very tourism-oriented having many bars and restaurants and a vivacious nightlife. The town is named for the native Quepo Indians who inhabited the area in the colonial era. Abe’s presentation will be about fly fishing for marlin in the Pacific Ocean off Quepos. He will include a general overview of his travel to Costa Rica and some of his cultural experiences while in Costa Rica. Specific to the marlin fly fishing, Abe will talk about the tackle requirements and what it takes to hook into one of the biggest fishes you can fly fish for. With the knowledge obtained from Abe’s presentation you are guaranteed to catch an enormous marlin well within the 85 days it took Santiago to catch one!!! Hope you can make it to this month’s meeting to learn how you too can become famous as the next Santiago of Costa Rica!!! The meeting on Monday, March 25th will be at the Maple Tree restaurant on Highway 51 in McFarland. The presentation begins at 7:00 p.m. with dinner and conversation at 6:00 p.m. Visitors and guests are always welcome. The Coalition to Save the Menominee River is seeking contributions to help pay fees and expenses that will be incurred in 2019 to support two lawsuits on the Back Forty Project filed by the Coalition to stop this mining project. Donations need to be received before April 25, 2019 to help achieve the June 30, 2019 goal of $50,000. As of now the Coalition has received $19,000+ from various sources. Donations have ranged from $1.00 to $8,000. If you can make a contribution, please make the check payable to: Coalition to Save the Menominee River, Inc. and mail it to Coalition to Save the Menominee River, Inc., P.O. Box 475, Marinette, WI 54143. The Badger Fly Fishers have contributed to this cause in the past and need to review this year’s contribution level with its membership. For additional information on the proposed Back Forty Project (aka “the mine”) and the opposition to it you can go to this linked website. The background and reasons for this request are that in 2018 the Coalition filed two lawsuits on the Back Forty Project and are confident in achieving favorable rulings that will prevent this mine from being developed. One case was filed in Federal Court and the other case was filed in Michigan’s Department of Licensing and Regulatory Affairs. The estimated costs for these lawsuits including expert witness costs, travel expenses for the hearings, attorney fees, etc., will reach approximately $200,000. The Federal lawsuit addresses two issues: (1) Did the U.S. Environmental Protection Agency (EPA) properly determine that the issued Wetlands Permit was within the authority delegated to the State of Michigan? (2) Was the EPA’s decision to withdraw its lengthy list of objections to the Wetlands Permit arbitrary and capricious, an abuse of discretions, or otherwise not in accordance with applicable laws? No date has been set for hearing this case. The delay in setting the court date is due to the backlog of cases created by the recent 35-day Federal Government Shutdown. The second lawsuit is a “Contested Case” filed in Michigan’s Department of Licensing and Regulatory Affairs. This case states that it is unlawful for the Michigan Department of Environmental Quality to rely on a very lengthy list of conditions that are part of the Wetlands Permit as a way to address all the shortcomings in this permit. This case is scheduled to be heard in early June 2019 in Lansing, Michigan. The Coalition’s other expenses are for the production and distribution of educational and advocacy materials designed to increase and support opposition to this mine. It also sponsors and arranges educational events with the same goal. It has limited basic office supply costs. No salaries are paid to the many volunteer members of the Coalition. The Coalition is a 100% volunteer group that advocates for the protection of the Menominee River and Lake Michigan from the hazards of a proposed polymetallic sulfide open pit/underground mine that would be located on Michigan’s shoreline of this river. No salaries are paid to anyone that works with the Coalition. It is a 501(c)(3) corporation. At the February 25th monthly meeting the Badger Fly Fishers’ membership overwhelmingly approved the Board of Directors recommended donation to the Harry and Laura Nohr TU Chapter to help support additional work in the Blue River area. The picture above shows Tim Fraley, President of the Harry and Laura Nohr TU Chapter accepting the donation check from Bob Harrison, President of the Badger Fly Fishers. Before the evening’s regular presentation, Tim reviewed the Chapter’s recent work and future plans within the Blue River area which included a map of the projects…..so there are no secrets! Many thanks go out to Tim Fraley, Brian Larson and everyone at the Harry and Laura Nohr TU Chapter for all their hard work on these projects. According to a new study published in the journal Biological Conservation, 40 percent of global insect species are threatened with extinction. The four most affected aquatic insect populations, which the study describes as “imperiled,” are caddisflies, mayflies, stoneflies and dragon and damselflies. Additional information about this study can be found at this link. John Lyons is a fish biologist with over 33 years of post-graduate experience studying the fishes of Wisconsin, the Upper Great Lakes Region, Mexico and Central America. Since 1985 John has been the Curator of Fishes for the University of Wisconsin-Madison Zoological Museum and prior to his retirement in 2017, he was a fisheries research scientist and supervisor for the Wisconsin Department of Natural Resources (WDNR) for more than 32 years. John earned his Ph.D. and M.S. in Zoology from the University of Wisconsin-Madison and a B.S. in Biology from Union College, Schenectady, NY. John’s presentation will inform us about a new environmental organization, Wisconsin’s Greenfire, Voices for Conservation, which was established in 2017 to promote the better use of science and increased transparency and collaboration in the management of Wisconsin’s natural resources. This organization is open for anyone to join. John will describe the origins, structure, and function of the group and how Greenfire hopes to work with groups such as the Badger Fly Fishers to help conserve the state’s aquatic ecosystems. 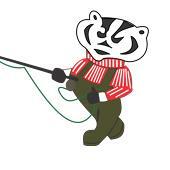 He will also focus on three pending fisheries issues which are the WDNR’s Trout Plan, Recruitment, Retention, and Reactivation (R3) of anglers and hunters, and the adaptation strategies for addressing climate change impacts on fisheries in which the Badger Fly Fishers can play a particularly important role. Additional information on Wisconsin’s Greenfire can be found on its website. The meeting on Monday, February 25th will be at the Maple Tree restaurant on Highway 51 in McFarland. The presentation begins at 7:00 p.m. with dinner and conversation at 6:00 p.m. Visitors and guests are always welcome. Hope you can make it to the meeting to be educated about this new environmental group and more specifically its work related to Wisconsin’s aquatic ecosystems. February 9th Spring Opener Fundraiser – Pat Dorsey on “Western US Rivers’ Tailwaters and Colorado’s Best Trout Streams” and Much More! Pat Dorsey is a Denver, Colorado based fly fishing guide and co-owner of the Blue Quill Angler, a full-service fly shop that has served customers since 1988. Pat has pursued selective Rocky Mountain trout for over thirty-five years and as a result has a vast knowledge and expertise fly fishing in Colorado’s legendary rivers’ tailwaters and streams. As a master fly fishing guide Pat has helped anglers of all ages and skill levels discover the joy of fly fishing, knows the waters of Colorado better than almost anyone and is an expert on the equipment and flies needed to catch selective Rocky Mountain trout. You can find additional information about Pat at his website. 8:00 – Registration opens, fly tying begins and commercial exhibits open. 10:00 – Pat Dorsey’s presentation on “Fly Fishing Western US Rivers’ Tailwaters”. 11:00 – Kid’s bucket raffle organized by the Wisconsin Smallmouth Alliance. 11:15 – Lunch service downstairs begins and continues until 12:30. 2:30 – Pat Dorsey’s presentation on “Fly Fishing Colorado’s Best Trout Streams”. 4:30 – Bucket Raffle Drawings. The Spring Opener event poster includes some additional information, a map with driving and parking directions can be found at this link and more information is available elsewhere on our website. Please plan to attend this very important fundraising event for the Badger Fly Fishers that helps support the local conservation projects that all of us fly fishers enjoy and appreciate.